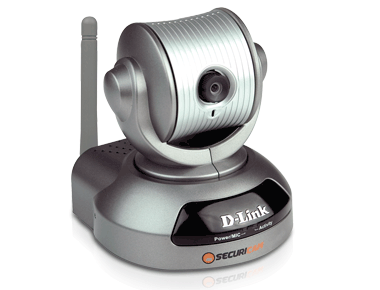 The D-Link DCS-5220 Wireless Internet Camera is a cost-effective yet powerful security solutionfor home office and small to medium-sized businesses. With 3G video support, it is a full-featured surveillance system that connects to your Ethernet or 802.11g wireless network to provide remote monitoring over the Internet. Use the motorized pantilt controls with 4x digital zoom to zoom in on images and take snapshots directly from a web browser. Equipped with a 0.5 Lux CMOS sensor, the DCS-5220 is ideal for low-light conditions. Enable one-way audio and listen to any activity within close proximity to the cameras built-in microphone. The D-Link DCS-5220 Wireless Internet Camerais a cost-effective yet powerful security solution for home office and small to mediumsized businesses. With 3G video support, it is a full-featured surveillance system that connects to your Ethernet or 802.11g wireless network to provide remote monitoring over the Internet. Use the motorized pan/tilt controls with 4x digital zoom to zoom in on images and take snapshots directly from a web browser. Equipped with a 0.5 Lux CMOS sensor, the DCS-5220 is ideal for low-light conditions. Enable one-way audio and listen to any activity within close proximity to the camera’s built-in microphone. IP surveillance systems are quickly gaining ground over conventional CCTV security cameras due to superior performance and reduced cost. 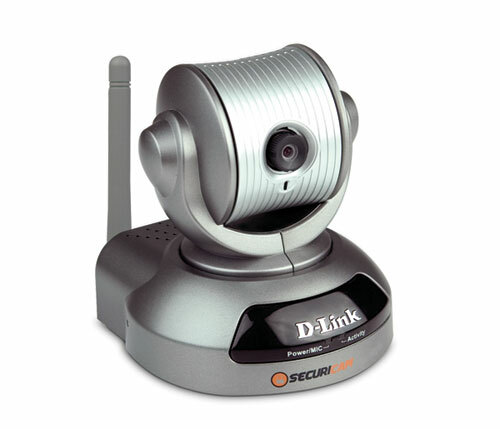 The D-Link DCS-5220 wireless Internet camera is a powerful surveillance system that features 802.11g wireless connection and the ability to view live video streams from a 3G mobile phone or PDA. Designed as a standalone system complete with CPU and web server, light sensitive lens, motorized pan/tilt, digital zoom, and advanced video/sound surveillance remote monitoring utility, and this camera presents a powerful yet low-cost solution for demanding home/office security needs. Electronic shutter: 1/60 to 1/15000 sec.